Commercially-prepared nail polish contains highly toxic chemicals that can be harmful to your health. 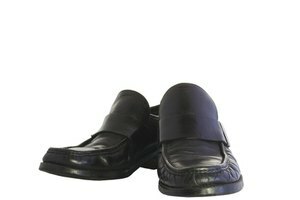 These include formaldehyde, dibutyl phthalate (DBP) and toluene. According to The Campaign for Safe Cosmetics, DBP is a reproductive and developmental toxin, toluene can cause headaches, dizziness and fatigue, and formaldehyde is an overall irritant. 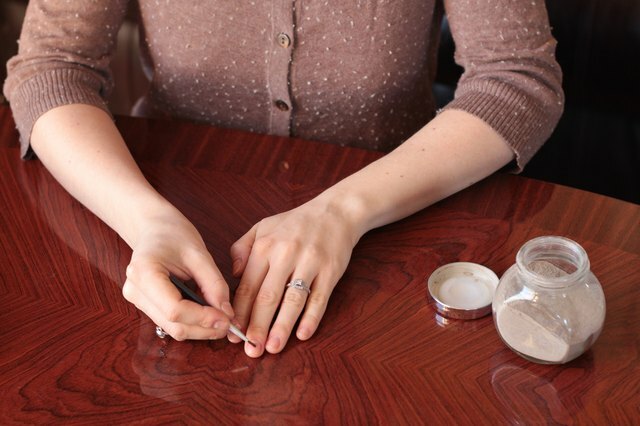 Making your own natural nail polish is a way to steer clear of potentially harmful chemicals, without losing the attractiveness of polished nails. 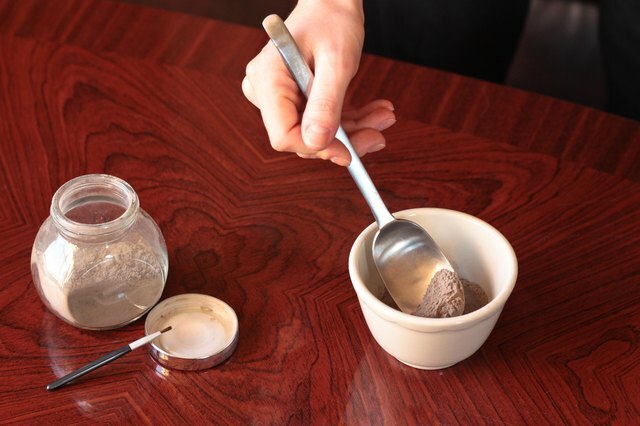 Combine red henna and water in a small bowl and stir until it becomes a fine paste. 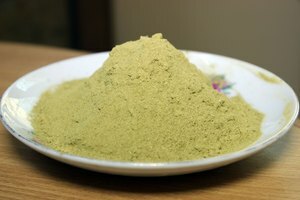 Henna is made from a herb. The leaves are dried and ground into a fine powder. 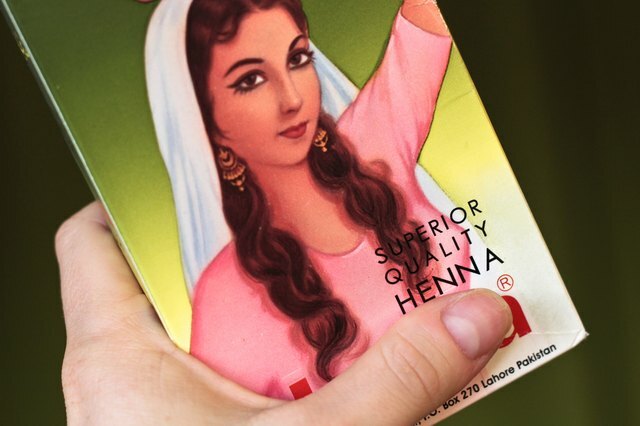 Red henna can be purchased at most health food stores or over the Internet. 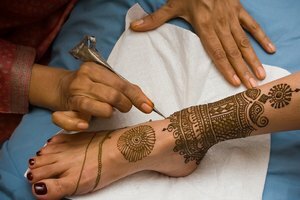 Carefully paint the henna on your finger or toe nails, using a small, clean paintbrush. Proceed slowly to avoid getting the henna on your skin. Allow your nails to air-dry. Wash your hands after the henna polish has dried. Since the henna polish is a stain, you won't have to worry about it chipping. The henna polish is permanent and should stay on your nails until they grow out. Throw-out any remaining henna polish. Prepare it fresh each time you re-polish your nails. Experiment with various colors of henna for different nail polish shades.